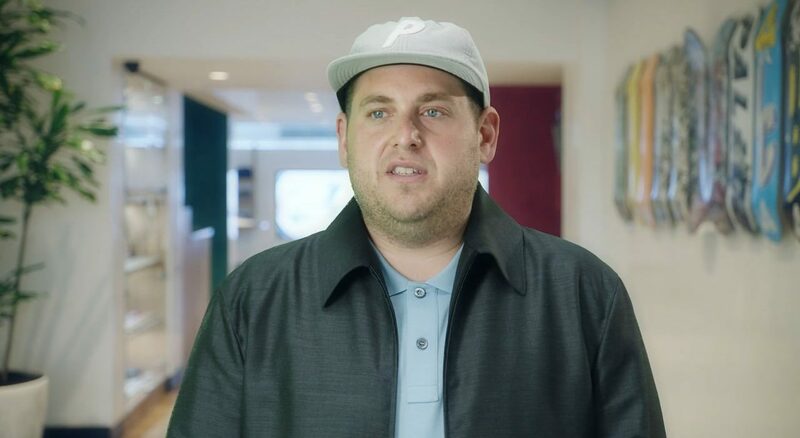 If you don’t consider Jonah Hill to be a style icon, you’re just not looking close enough. King of the ‘scrumbo’ style, a scrumbo is an individual who dons an un-aesthetical mash-up between exclusive high-end houses (think Prada) and streetwear labels, (think Palace, Thames, Supreme) whilst still maintaining a look that appears like it could be easily replicated using the stock from your local Oxfam. They “wear irony like it’s a dewy hint of highlighter on the cheekbone – like normcore did, but less precious” and what is essential about the scrumbo look is that nothing is ever coincidental. The scrumbo look takes the baggy silhouette of the now-infamous ‘Fallow’ style and injects it with the latest sold-out releases and ostentatiously print t-shirts. What might be more alarming than seeing unexpected and seemingly incongruous labels aggressively thrown together such as Goyard and Crocs, Patagonia Fleeces and Prada Cloudburts, is how this look has become so rejoiced by fashion lovers and industry insiders alike. Just how we love to root for an underdog, the aesthetical rebellion by repeat offenders such as Pete Davidson, new-era Justin Bieber, and Shia LaBeouf was featured at the top of many of 2018’s best-dressed lists. The celebration of the scrumbo appears to be a political attack against the seemingly stagnant ‘hypebeast’ ensembles of Off White, Yeezy and Gucci Tracksuits, as influencer marketing reaches its pinnacle, and Instagram becomes ever more lackluster with the outpouring of paid-for-content that continues to reproduce the samey content of commercial streetwear. Yet, in a sea of skinny tracksuits, a scrumbo makes a mark to stand out one bowling shirt at a time and emphasizes the ever-growing cult of irony within fashion. Yet, following his ‘Mid90s’ directorial debut and 35th birthday, it appears Hill has similarly toned down his look starting 2019. His garish summer wardrobe, which was regularly constituted with the likes of shorts and a wool overcoat, or rainbow basketball vests with baggy Dickies has in turn been swapped with more understated basics from the likes of minimalist brand The Row. But just to make it Jonah, he added chunky Adidas trainers or Palace Reeboks. Growing up following LA’s skateboard scene, Hill’s look is so desirable as it thrives off his authenticity. With a dedicated and unaffiliated fan account just for his ensembles run by a mystery admirer (@JonahFits) it appears Jonah’s look is so renowned as it’s unmistakably original. Working without a stylist, he’s a fresh of breath air and a man who knows his stuff. Announcing his next venture to be in clothing, it’s safe to say there won’t be many cuffed bottoms or skinny fit items to be expected from his collection. In an increasingly crowded menswear industry, awash with culture vultures and many a ‘influencer’, be a Jonah.